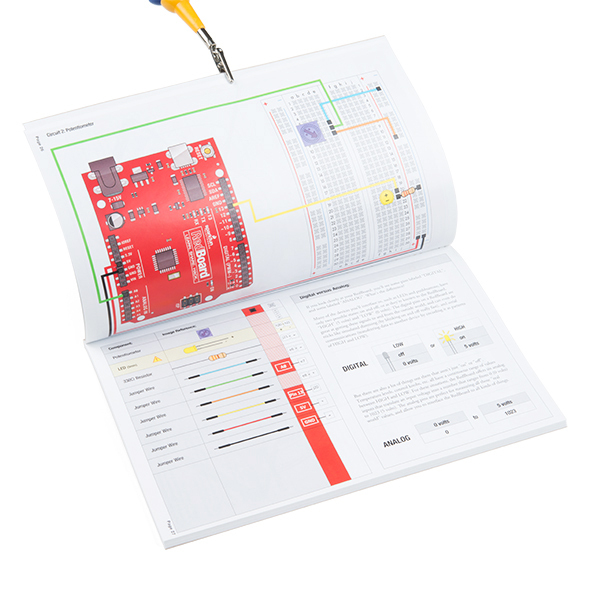 The full-color SparkFun Inventor's Kit Guidebook V3.3 contains step by step instructions of how to connect up to 16 different circuit experiments. Full example code is provided and explained and even includes troubleshooting tips if something goes wrong. Once you make your way through all of the example circuits you will have a much better grasp on programming electronics! 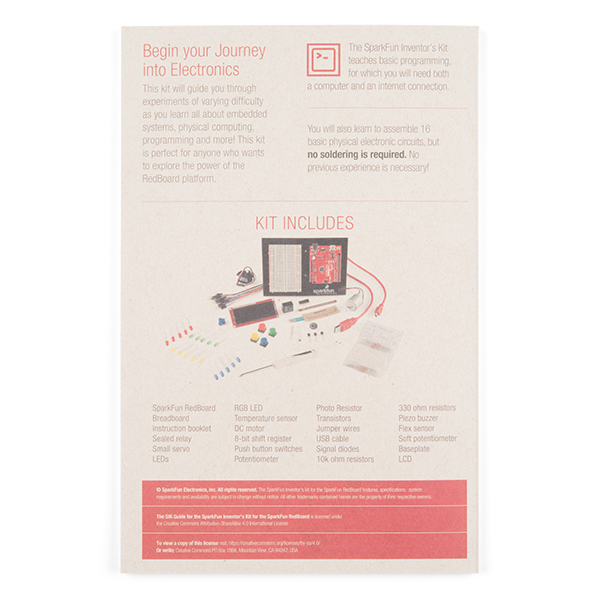 However, if you are an Educator, you can get this guidebook for free! 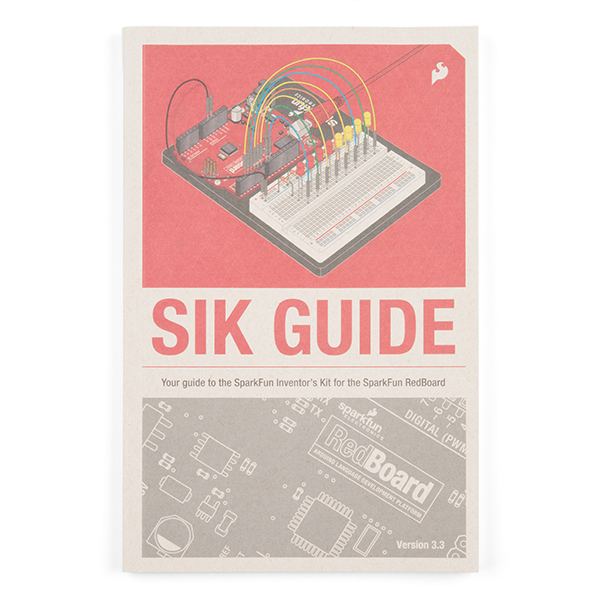 Please keep in mind that this guidebook is for the SIK V3.3 and not the most recent edition. Once the stock for this book is gone, we will not stock them again so get them while you can! Note: If you are are an educator and are able to get this guidebook for free, please keep in mind that shipping will still need to be charged to process your order.